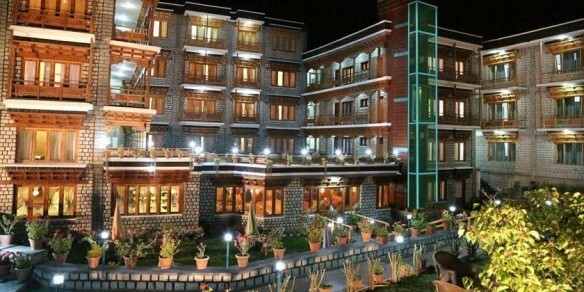 Our services start on your arrival at Leh Airport you will meet our representative and you will transferred to your respective hotel by private vehicle. 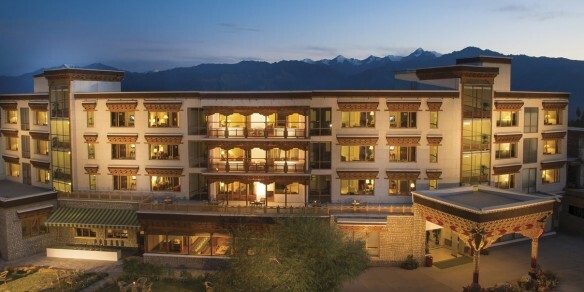 Check-in at the hotel, enjoy the rest of the day at leisure to acclimatize yourself to high altitude. Overnight at the hotel. 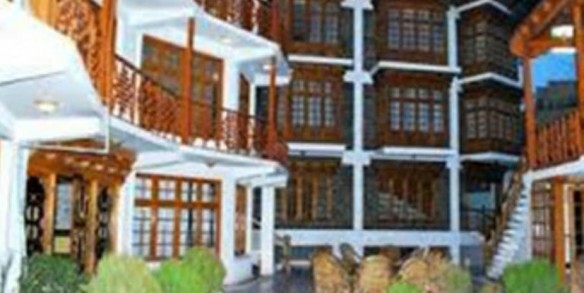 After Breakfast proceed for sightseeing tour of Leh visiting 1000 year old Alchi monastery the only Gompa in Ladakh region on flat ground. 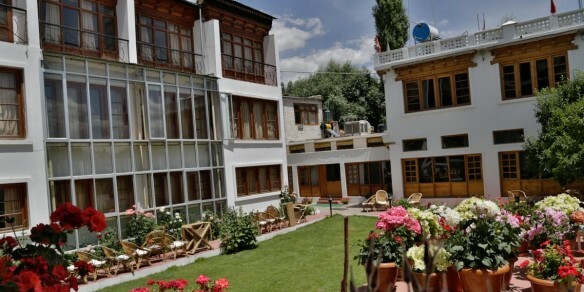 Thereafter proceed to the Likir Monastery to visit the splendid three stories Dharma Wheel Gompa. 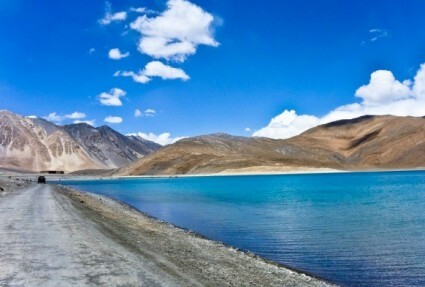 Here you’ll be awestruck with the sight of the massive Buddha statues., Indus & Zanskar river Sangam, drive along the Indus river visiting, Pathar Sahib Gurudwara and Magnetic Hill (where the cars defy gravity), Basgo Palace Hiking only and further on to Leh Hall of Fame (which has a museum of the Kargil War memorabilia).Post tour return to hotel and enjoy the rest of the day at leisure. Overnight at the hotel. 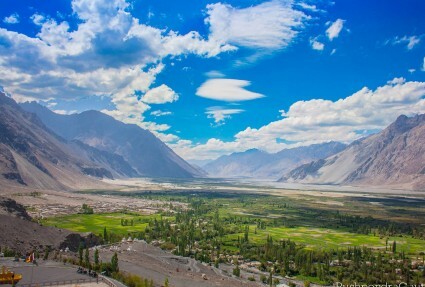 After breakfast check out from the hotel and drive to Nubra Valley via Khardungla (Highest Motorable road in the World, 18,380 ft) Arrive at Hundur by Afternoon. 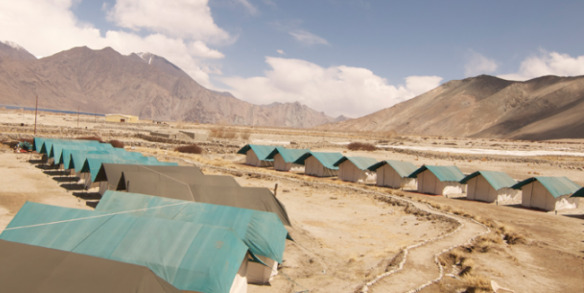 On arrival Check-in at the camp, later explore Diskit, Hundur Villages and camel Safari in Sand Dunes between Diskit and Hunder Village and enjoy the rest of the day at leisure. Overnight at the camp. After breakfast check out from the camp and drive to Leh. Check-in at the hotel, enjoy the rest of the day at leisure. Overnight at the hotel. 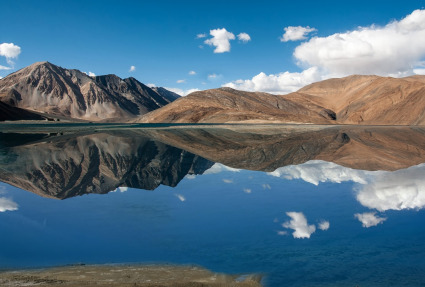 After breakfast check out from the hotel and drive to Pangong Lake. Check-in at the camp, enjoy the rest of the day at leisure. Overnight at the camp. 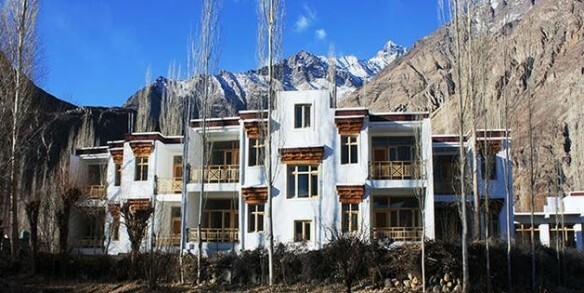 04 Nights accommodation in Leh. 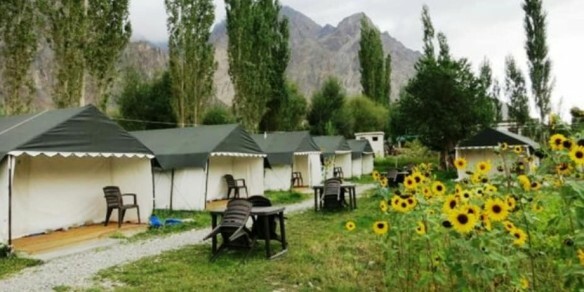 01 Night accommodation in Nubra Valley. 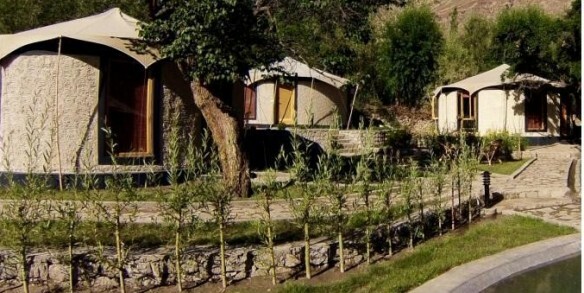 01 Night accommodation in Pangong Lake. Airport transfers along with all sightseeing by Non Ac Innova / Xylo. Inner line permits to a restricted area. A surcharge will be applicable on particular events, festival & fairs.